National health authorities have inescapable and often exclusive responsibilities for protecting the health of the population in emergencies and disasters of any origin and magnitude. In order to fulfill that responsibility, each country’s health sector has established formal mechanisms for coordinating and mobilizing response by all the components of the health sector that play a role in reducing the impact of disasters on health. These include: providing health services, monitoring the quality of water for human consumption, conducting epidemiological surveillance, mobilizing critical inputs and drugs, carrying out public communication, and operating health programs, among other things. In most countries, the health sector’s emergency and disaster arrangements are the responsibility of an office, division, department, or unit of the health ministry. This entity’s central responsibilities are to coordinate risk management, preparedness, and response. It serves as the sector’s liaison with national emergency systems, as well as coordinating activities within the sector for emergency and disaster prevention, mitigation, preparedness, response, and recovery. In general, national responsibility for disaster management in the countries of the Americas rests with each country’s highest-ranking governmental authority, which directs the national disaster management system. The system usually includes a mechanism to generate risk reduction policies, plus a mechanism at a more operational level to facilitate coordination of response activities. Each country has designed its systems so as to encourage the broadest possible participation by both public and private actors. National civil defense systems were created in the 1970s to improve disaster preparedness and response. The responsibilities for these systems were assigned to a central agency with operational and coordination capacity. Over time, additional responsibilities for risk reduction were gradually incorporated and were ‘institutionalized’ in agencies whose principal functions consisted of coordinating multisectoral efforts and ensuring that disaster risk reduction is a part of the development process. In most cases, these systems are known as national civil defense systems or disaster risk management and response systems. An excellent publication that traces the journey of Latin American and Caribbean from an improvised response to disasters to the incorporation of disaster risk management in development is the publication A World Safe from Natural Disasters: The Journey of Latin America and the Caribbean. 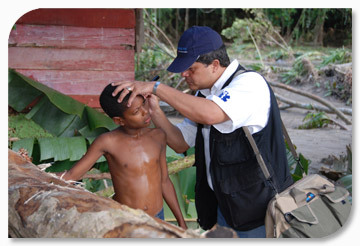 Countries in Latin America have made significant progress in the last decades in developing norms, standards, and legislation dealing with health and disasters. In addition to national regulations, collective policies and plans have been put in place by groups of countries in Central America, the Andean region, and the Caribbean. For an overview of arrangements in the Caribbean, see Comprehensive Disaster Management: Strategy and Programme Framework. The U.N. Office for Disaster Risk Reduction publication Living with Risk (view volumes one and two) reviews worldwide disaster reduction initiatives that contribute to more informed decision-making, including improved planning, better regulatory mechanisms and, most of all, innovation in development and environmental protection activities.